Extermination is out January 23rd from Marvel Comics, concluding the six-year story of the time-displaced Original X-Men. The story is written by Ed Brisson, with art and colors by Pepe Larraz and Marte Gracia, respectively. Ario Anindito did the pencils for issue #4 (following Larraz’s layouts), with Dexter Vines’ inks and Erick Arciniega’s colors. Joe Sabino lettered the series, and Mark Brooks did the covers. This is a very grand, traditional X-Men event. You get all of your favorite mutants from all the various X-teams thrown together and fighting for their lives. There’s lots of bright, vibrant, explosive action, thanks to Larraz, Anindito, Gracia, and Arciniega. As stated, this is a very traditional event in this way. It’s a fun, accessible read even if you haven’t been following the story of the Original Five, but it especially rewards readers who have been here for the ride the whole time. X-Men comics’ greatest strength has always been their character dynamics. The best stories and events are the ones that highlight the team as a family and have the characters play off one another. Brisson pulls this off in Extermination, which is huge, because this very much needed to be a personal story more than an action-driven one. 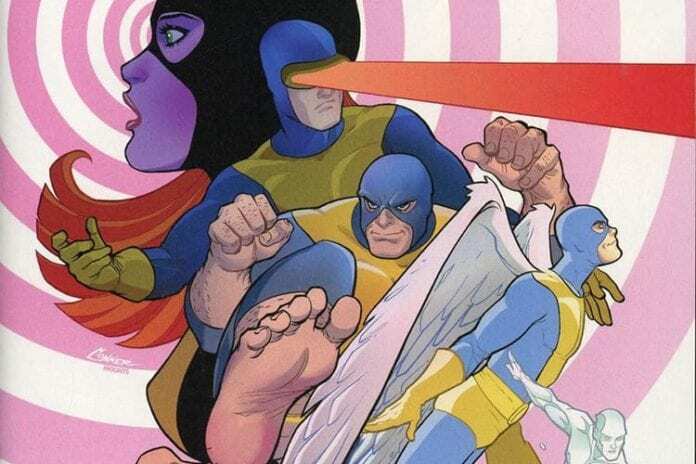 Beast brought the Original Five X-Men to the present day because the current team(s) had fallen way off-track and needed a reminder of who they were supposed to be. So, six years later, how strong is the payoff? Pretty strong, to be honest. The Original Five make it back home in the end, and even though the plot and the action is a lot of what we’ve seen before in X-Men events, it’s heartwarming to see the effect that the young team had on the present day members. The two Icemans (Icemen?) in particular have a nice moment where adult Bobby Drake thanks his younger self for helping him accept himself for who he is. Young Jean Grey ultimately saves the day by implanting memories in her own mind that allow her older self to defeat Ahab. It’s a good reminder about how we can learn from our younger selves in times of crisis. Young people are typically more idealistic and view the world with more hope and optimism. A lot of people lose that feeling as they grow older and experience loss and hardship, and arguably no one’s experienced more loss and hardship than the X-Men. It’s nice to see a story where a character has to literally reflect on a old memory to overcome an obstacle. There’s an excellent shot at the end of the story, when the X-Men are attended a funeral for the three teammates they lost over the course of Extermination. We see all the mutants together, and we get a separate panel where we see Jean, Bobby, Hank, and Warren – the adult Original Five – walking away together. The four go get milkshakes, reflecting on the recent events, recapturing the feeling of their youth, and toasting the absent Scott Summers. It’s clear that their younger selves did their jobs, and that the modern day X-Men definitely learned something about getting themselves back on track. 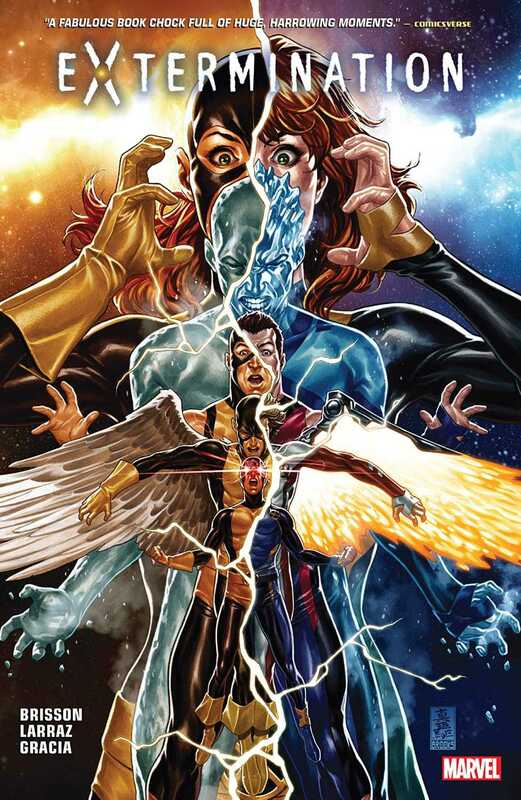 If you’re a regular X-Men fan, Extermination is a must-read. It’s a fitting conclusion to the saga of the Original Five, and a heartwarming reminder to take some time and reflect on who we are compared to who we once were.